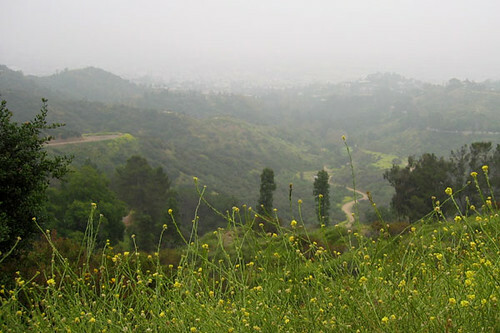 I saw in the LATimes that Councilman Tom LaBonge mentioned that Dante’s View park was lost in the fire. (LaBonge is a huge supporter and user of the park.) I’d never been there and wasn’t quite sure where it was. I figured you might not know the park either. 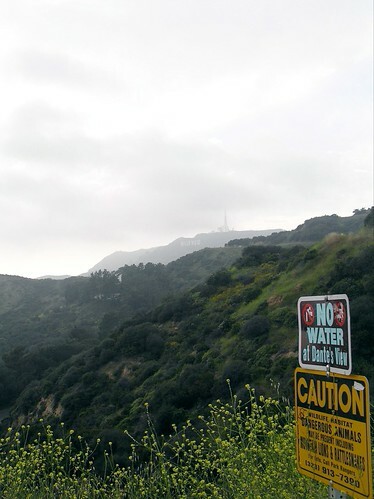 Dante’s View is familiar to all of us, it’s that picturesque overlook to the Griffith Observatory. While fire has always been a natural part of the park and area long before we came along, it’s sad to see all of that go up so quickly and dramatically. More photos and links to more photos of the area before the fire after the jump. photo from Noeluap who writes at idiosynchratic. Dante’s View taken by Dawn Meredith just a year ago … what a difference some rain makes. Sgroi has a set of photos on the trail with horses from late March. The good news is it’ll be back. It was destroyed as recently as what, the early 90s? You can burn a garden, but you can’t burn a Garden. “The dance of this fire reminds me of how Mick Jagger dances on stage,” said city Councilman Tom LaBonge, who represents the area. He seemed very hurt by the fire. He really does love that park.